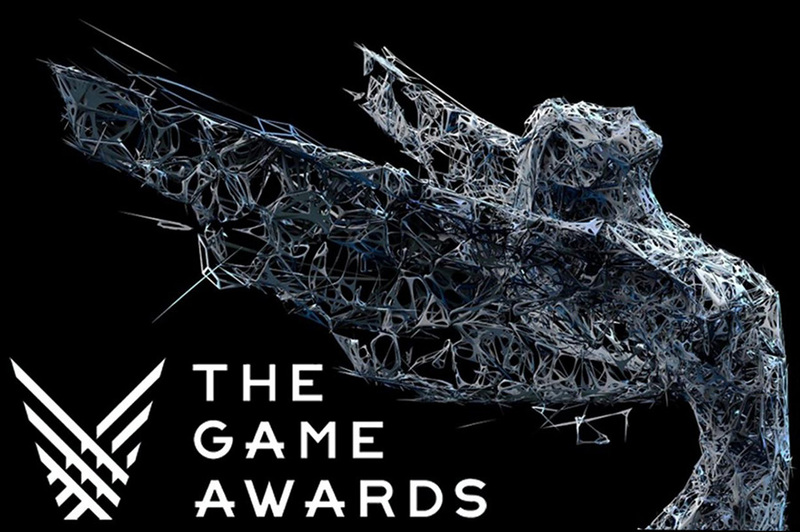 Promotional image for The Game Awards 2018. The Game Awards are creating a buzz this year, with a variety of major games facing off on the stage for the title of Game of the Year. 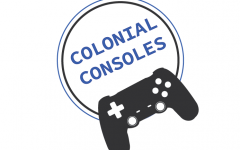 To prepare for the event, the cast of Colonial Consoles share their thoughts on what they think will win for each category. 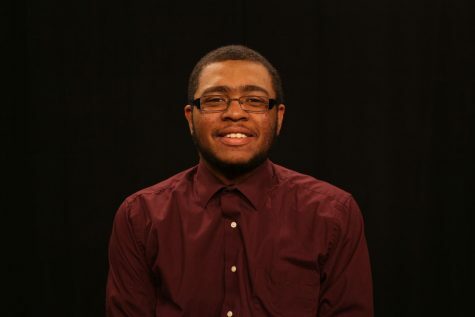 Join Logan Carney, Malyk Johnson, and Garret Roberts as they give their thoughts on the potential winners of the selected categories, as well as discuss why they stand out from the rest. Garret – Sonic Fox: Sonic Fox is a great dude, offering a real personality within the esports scene. While others may be better in pure skill, he’s an entertaining and charismatic player that’s hard to replicate. Malyk – Celeste: “Celeste” was not only a great game, but it was a really great story, too. The story of Mary overcoming her depression while climbing a mountain was really well told. The game itself was also challenging, but just easy enough that I wanted to keep playing. Garret – Celeste: While I adore the style and tone of “Dead Cells,” Celeste is going to be the winner here. Innovative game play and a great, if simple, story sets it apart from others in the genre. 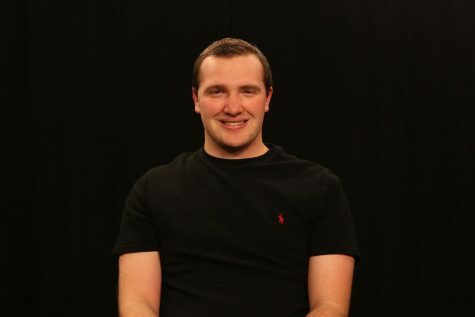 Logan – NBA 2K19: I’m going with “NBA 2K19,” mainly because it is the only one of the nominees that I have played. I have zero clue as to why “MLB The Show: 18” was not nominated for an award, as that was the best sports game of this past year and is consistently the best sports game series. Maybe the people who decide the nominees are impressed with the story additions to career and “GM” mode in “NBA 2K19” and “Fifa 19,” but that isn’t a good enough of a reason to exclude the most consistently good sports game of the past decade. Garret – Destiny 2: “Destiny 2” is a weird game. While it started off as a cookie cutter copy of the original “Destiny,” it’s slowly found it’s ground and established a compelling story and innovative mechanics and game modes. 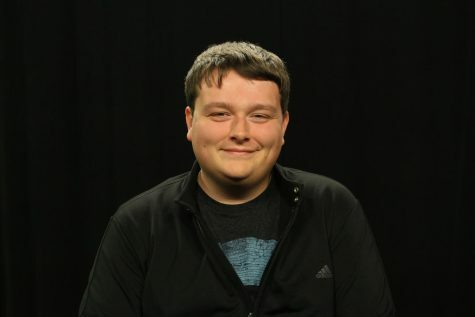 Malyk – Tom Clancy’s Rainbow Six Siege: When I started my internship over the summer, I had people ask me if I played “Siege.” Throughout the summer, my coworkers tried to get me to play the game. Years after the game came out, people still ask me to play the game. Logan – Fortnite: I’m giving this one to “Fortnite,” despite it being disliked by a lot of gamers for being too popular. I never understood why being mainstream should eliminate a game from contention. It is mainstream because it is game changing. 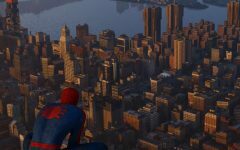 The game comes from Epic Games, which only other largely successful game is Clash of Clans, and has changed the way people play multiplayer on immensely popular franchises such as “Call of Duty,” “Battlefield” and arguably “Red Dead Redemption,” which also has a Battle Royale mode. I will give a shout-out to Hello Games’s “No Man’s Sky” for going from one of the most disappointing games in 2017 to being nominated for this award a year later. I guess that means I’ll have to give it a second chance. Garret – League of Legends: Drawing in massive crowds for years, “League of Legends” is the grandfather of esports. Not giving the game the award for Best Esports Game would be a shame. Without this game, esports would not be nearly as popular as it is today. Malyk – Detroit Become Human: No game sticks out more than the 12 hours that I spent with “Detroit.” All three characters had good stories, with plenty of suspenseful moments in each plot line. I think this is David Cage’s best game in terms of story and moment to moment game play. Logan – Red Dead Redemption 2: Once again I am going with Rockstar’s masterpiece to be awarded the Best Game Direction. The story helps here, but the real difference maker between this and God of War is the cinematic shots that take place in the story. The scene where the gang members are walking towards the Braithwaite Mansion to save Jack is one that comes to mind, and that wasn’t a cut-scene. When Arthur is riding his horse at the end to confront Micah, the player hears past quotes combined with amazing music. Ultimately the game comes off as a movie or a TV show and less of a video game. Garret – Dragonball Fighter Z: This one has to go to the game that revitalized the hype for EVO. While I’m not personally a fan of the game, it certainly deserves the award for the cultural impact it had in the fighting game scene. Garret – God of War: While a simple story, Kratos learning to connect with Atreus is truly touching and a great way to divert expectations and craft a compelling and touching story. Additionally, having Kratos learn to accept his past and move on from the Ghost of Sparta persona adds to the feeling of growth to a previously one note demigod. Logan – Red Dead Redemption 2: If you haven’t realized by now, personally I think Red Dead Redemption 2 should sweep the categories that it is nominated in with God of War coming in a close second in most of them. The character development of Arthur Morgan and Dutch Van Der Wal is better than a lot of TV shows and movies give us today. You can play honorable or dishonorable, which affects the way the story shapes out. Either way, players see the decline of Dutch from a god-like figure to a crazy madman and the redemption of Arthur Morgan. Furthermore, while I think the epilogue can be cut short, it’s nice to see what happened to John Marston between the two games. Garret – God of War: I love the art style of “Octopath Traveler,” but “God of War” offers beautiful Nordic scenery and impressive portrayals of the realms on the World Tree. Jotunheim is my favorite area in the game, giving an amazing aesthetic to the land of giants. Logan – Red Dead Redemption 2: Like I said, this game should sweep the categories that it is nominated in. This game deserves this award because of the environment that it is in. While I think “Red Dead Redemption 2” can easily lose to “God of War,” I think the vastness of the beautiful landscape separates it from the smaller, but equally beautiful, environment in “God of War.” Not to mention the addition of the cinematic camera, which forces the gamer into taking in these wonderful shots. Logan – Red Dead Redemption 2: Not only was the soundtrack over three hours long, it was all original. While some songs were covers, it was all ultimately created for the game. The songs all fit perfectly, too. Again, the music of the Braithwaite Mansion mission made the game exciting, while the songs “That’s the Way it Is” and “May I? Stand Unshaken” help bring tears at the end of the story. Not to mention, who didn’t tap their foot when John Marston was building a house? This soundtrack will also be performed at the Red Bull Music Festival for five days, proving that it is worthy of awards. 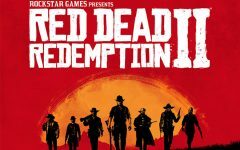 Garret – Red Dead Redemption 2: There was a lot of effort put into the music for Red Dead Redemption 2. While there are good contenders in this category, this is the only game worth listening too outside of gameplay. Logan – Far Cry 5: I feel like this should be in the Action/Adventure category, but it doesn’t want to compete against the likes of “Red Dead Redemption 2,” “God of War” and “Spider-man.” Nonetheless, I’m giving it the Best Action Game victory because of more than just the shooter aspects. This was a true “Far Cry” game with a true “Far Cry” ending. The adventure was action from start to finish, minus the parts in which the player got sidetracked fishing. I think “Call of Duty: Black Ops 4” may steal this from “Far Cry 5” because of the popularity of the former, but “Far Cry 5” is the more deserving game. Garret – Christopher Judge as Kratos (God of War): Kratos has an iconic voice because of Judge. While Yuri Lowenthal is one of my favorite voice actors, his voice could be replaced and nobody would notice. Any change for Kratos would be a crime. Logan – Roger Clark as Arthur Morgan (Red Dead Redemption 2): I can see Christopher Judge (Kratos/”God of War”) stealing some votes here for bringing much needed depth to a video game series that was seen as nothing more than blood and gore in previous iterations. I also think that Mellissanthi Mahut (Kassandra/”Assassin’s Creed Odessy”) will steal some votes, being the first female lead in a main Assassin’s Creed. That being said, it is “Black Lung” that deserves it. Roger Clark’s motion capture work made realistic movements and his voice acting was also superior. I’d like to give an honorable mention to the voice actors behind Micah Bell (Peter Blomquist), Hosea Mathews (Curzon Dobell), John Marston (Rob Wiethoff) and, of course, Dutch Van Der Linde (Benjamin Byron Davis) from “Red Dead Redemption 2,” as they also delivered phenomenal work, but didn’t get nominated. Garret – EVO 2018: EVO is always a blast to watch. While other events require you to know the in and outs of the game being played, the flashy visual nature of fighting games make the crowd feel the excitement. Similar to a good boxing match, the contest between two individuals generates massive amounts of hype and brews rivalries that sell the event. Logan – Red Redemption 2: While “God of War” is a worthy pick, I’m going with everyone’s favorite wild west shooter. I think the story is arguably the best for a next-gen game, with the million of things that can be done outside of the story separating it from “God of War.” Also, I think that amount of little details that went into crafting such a large game place it as one of the most impressive games of all-time, not just this year. Add in the cast of characters and the great voice work that went into it and this seems like the obvious choice. There are some flaws, as any game would have, but the game is as close to perfect as one can be. Garret – God of War: Telling the touching story of Kratos and Atreus with impressive game play and visuals, I think “God of War” is the most worthy of Game of the Year. It perfectly captures what makes gaming great, offering a story only possible through hours of game play and interactivity. While the other contenders may be fierce, Santa Monica Studios made a masterpiece. Malyk – Red Dead Redemption 2: It’s hard to deny the amount of care and attention to detail Rockstar payed to the sequel to “Red Dead Redemption.” The amount of stories that people tell about their time in the old west is what makes this game a must play.